We love being invited to tastings, but when there’s stuffed turkey legs on the menu … it only gets better. A few days ago, 2 Girls Who Travel attended a private media tasting at The Caddy Shack* in Houston. The restaurant, located on Washington Ave., boasts a comfortable outside patio with a bar and hookah as well as a DJ on certain nights in the restaurant. Everything we ate was good. Seriously, no complaints! 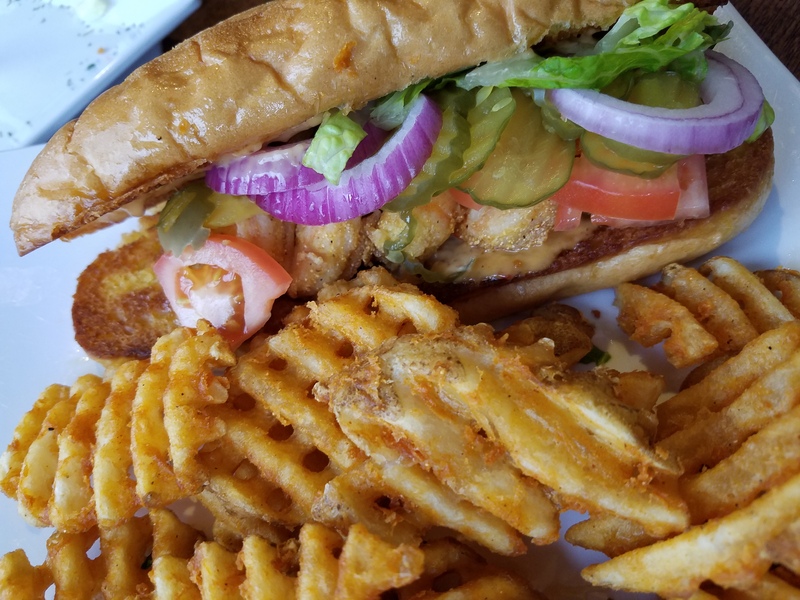 Every dish we ate, we recommend. Even the sweet tea and fresh strawberry lemonade were delicious! Off-the-menu item: don’t miss out on these shack fries! 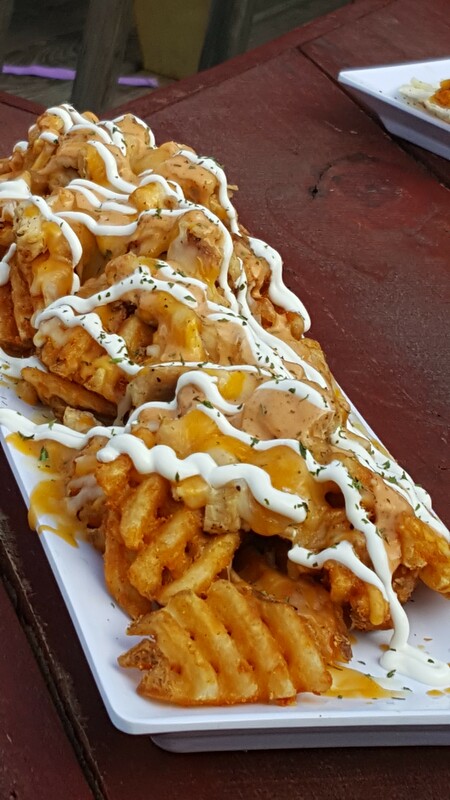 Waffle fries topped with chicken, cheese, ranch and sour cream! 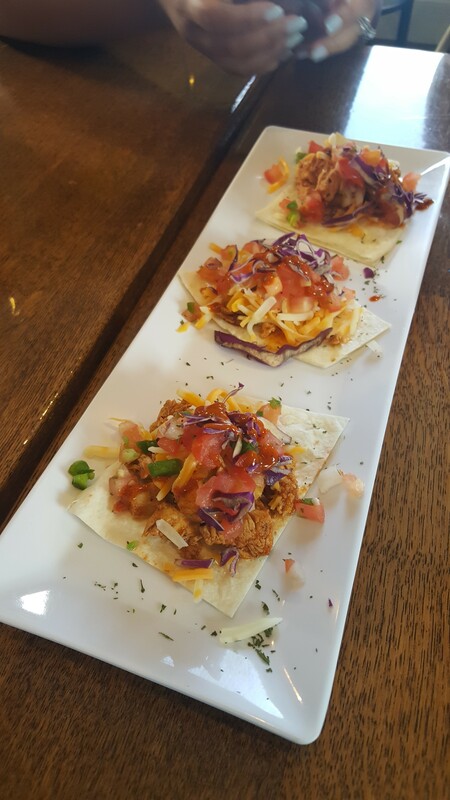 Jerk chicken tacos with pico de gallo, cheese and cabbage. Pick your poison – mild or hot! 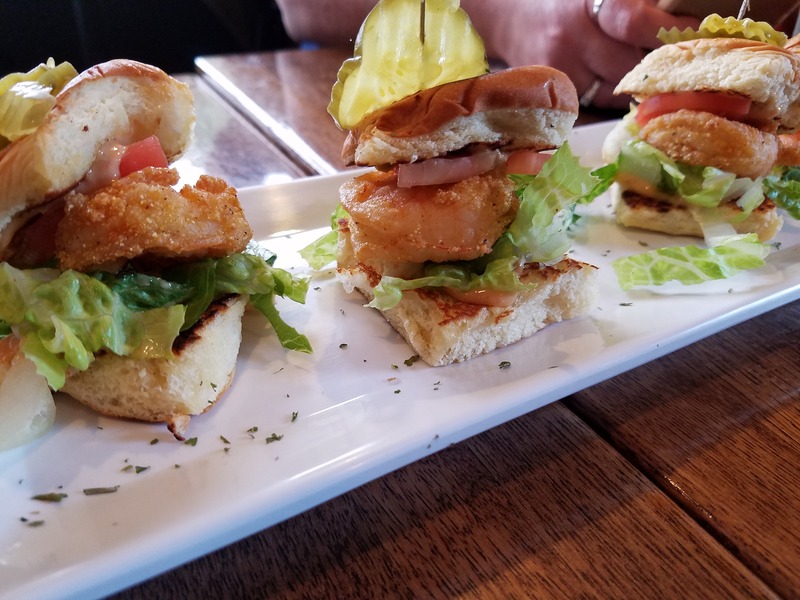 These little fried shrimp sliders were big on taste!! This baked potato was massive! 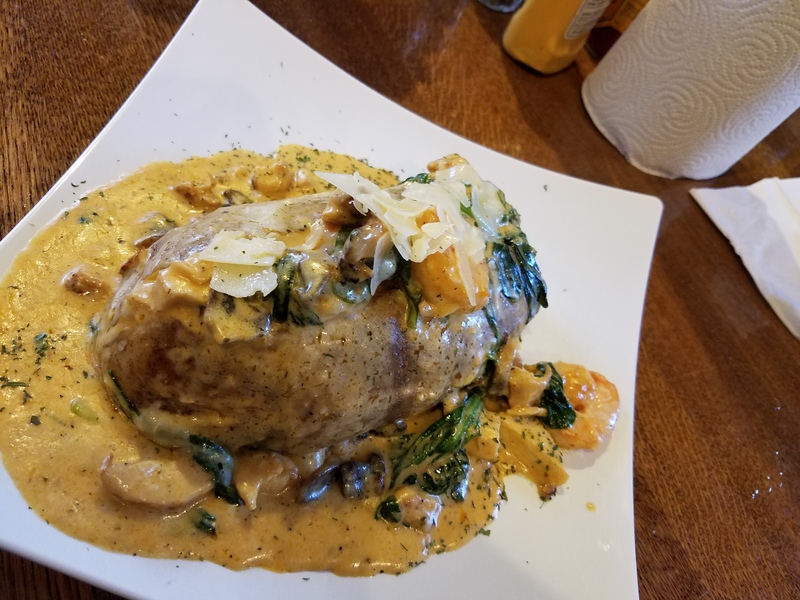 The Shack Ultimate Baked Potato is stuffed with chicken, shrimp, spinach, mushrooms and alfredo sauce. You were waiting on this, right? 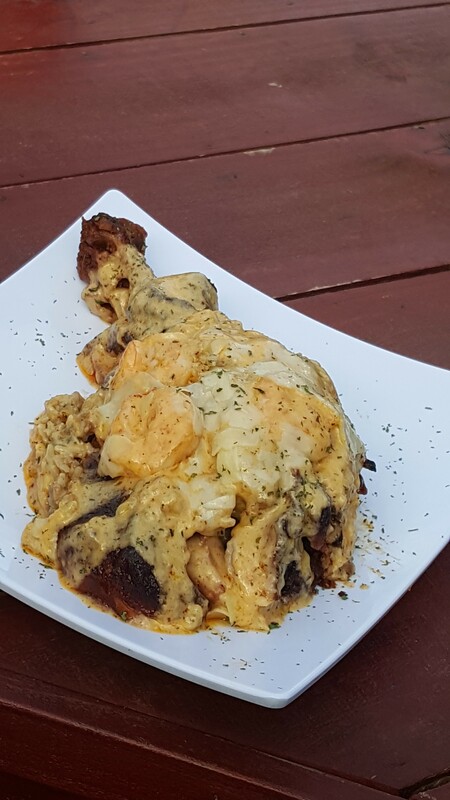 This smoked turkey leg was stuffed with a little of everything – shrimp alfredo, chicken, cheese, spinach, mushrooms and probably some more stuff we forgot to name! Can’t forget dessert! 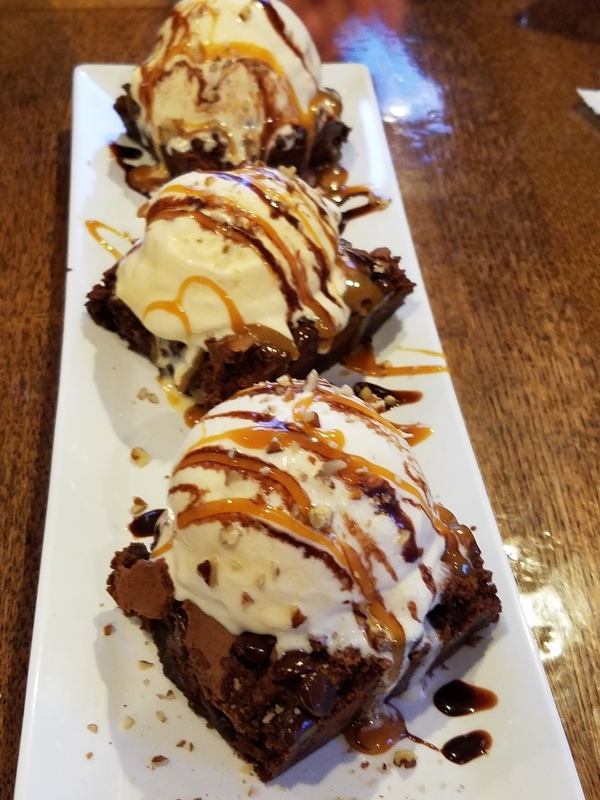 We just had to save room for this chocolate brownie sundae with caramel and chocolate sauce. Editor’s Note: This restaurant is closed. Tags: hookah, Houston, loaded fries, nightlife, restaurant, soul food, stuffed potato, stuffed turkey leg, The Caddy Shack, turkey leg, Washington Ave.